Enjoy Live Music and Dancing every Tuesday Night! Or play a game of Foosball, Shuffleboard, Ping Pong, Pool or Darts in between sets! 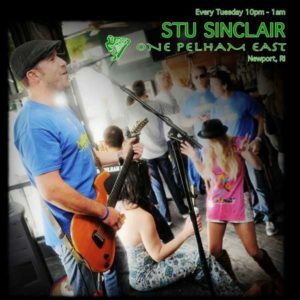 Check out Stu Sinclair performing top 40 covers and request for your dancing and listening pleasure!. 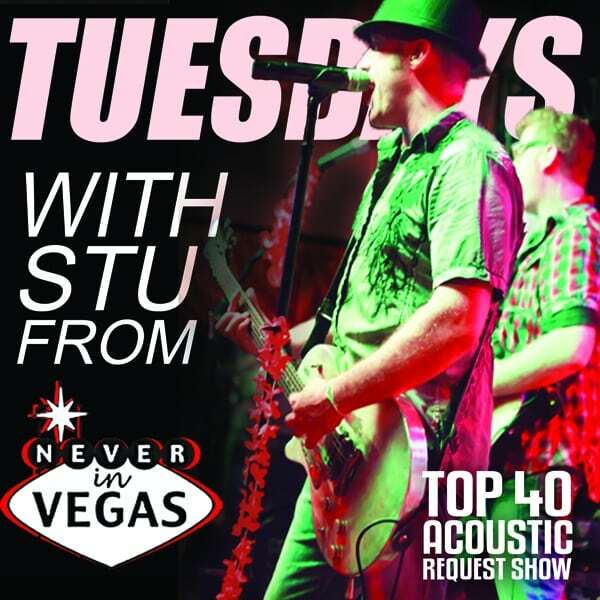 Stu is one of our top performers and performs with his band Never In Vegas throughout the North East. From the Pickle Barrel in Killington, VT to The Harp and Ned Devine’s in Boston and as far south as Sloppy Joe’s in Key West, FL.! Stu is a one of a kind showman, known for his musical versatility and stage banter, come by on a Tuesday night for one of his performances and we guarantee you that you WILL BE ENTERTAINED!